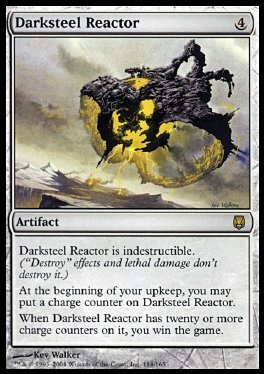 Darksteel Reactor is indestructible. ('Destroy' effects and lethal damage don't destroy it.) At the beginning of your upkeep, you may put a charge counter on Darksteel Reactor. When Darksteel Reactor has twenty or more charge counters on it, you win the game.